Product prices and availability are accurate as of 2019-04-16 19:29:17 UTC and are subject to change. Any price and availability information displayed on http://www.amazon.com/ at the time of purchase will apply to the purchase of this product. 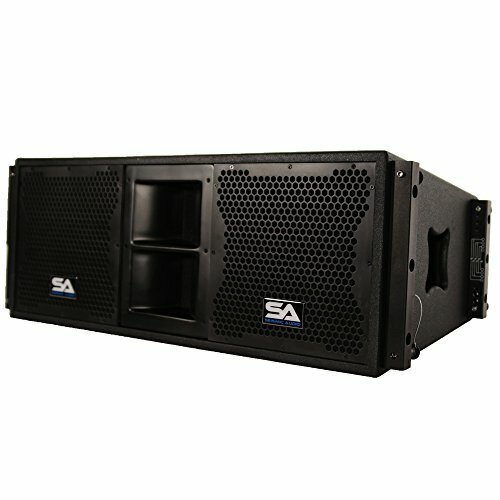 AudioDJ.com are delighted to present the brilliant Seismic Audio - SALA-210-PKG1 - Four Passive 2x10 Line Array Speakers with Dual Compression Drivers - PA/DJ Band Live Sound. With so many on offer these days, it is good to have a brand you can recognise. 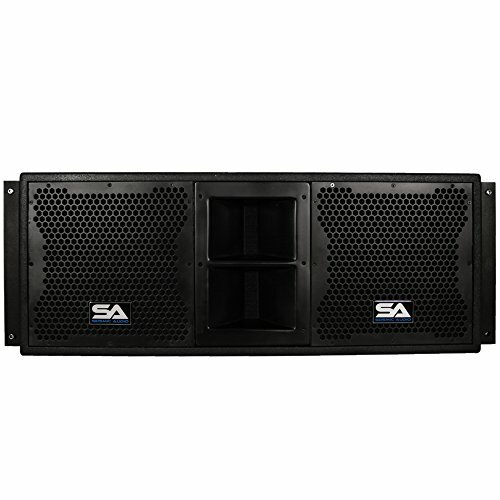 The Seismic Audio - SALA-210-PKG1 - Four Passive 2x10 Line Array Speakers with Dual Compression Drivers - PA/DJ Band Live Sound is certainly that and will be a superb buy. 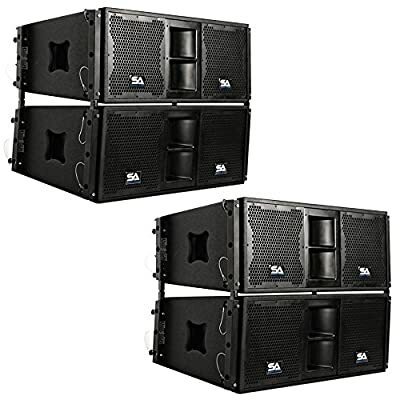 For this reduced price, the Seismic Audio - SALA-210-PKG1 - Four Passive 2x10 Line Array Speakers with Dual Compression Drivers - PA/DJ Band Live Sound is widely recommended and is a regular choice amongst lots of people. Seismic Audio have provided some nice touches and this means great value for money. 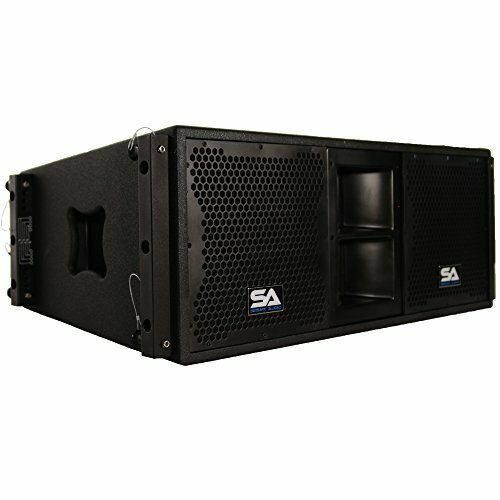 Four Passive 2x10 Line Array Speakers with Dual Compression Drivers MODEL: SALA-210-PKG1. CONTENTS: Four Premium Passive 2x10 Line Array Speakers. CONDITION: New. APPLICATION: Line Array Sound Reinforcement. ACTIVE/PASSIVE: Passive. WOOFER: Two 10" Loudspeakers. WOOFER SPECS: 50 oz Magnet and 2.5" Voice Coil. TWEETER/HORN: Two 1 3/8" Titanium Compression Drivers with Wide Dispersion Horn. COVERAGE PATTERN: 70º x 30º. POWER: 560 Watts RMS; 1120 Watts Peak each. FREQUENCY RESPONSE: 65Hz - 20kHz. SENSITIVITY: LF: 99 dB - HF: 105 dB. CROSSOVER FREQUENCY: 2.8kHz. MAXIMUM SPL: 130 SPL. CONNECTORS: Two Speakon Connector Inputs. NOMINAL IMPEDANCE: 16 Ohms. GRILL: Full Metal Grill. HANDLES: Yes, Side Pocket Handle. ENCLOSURE: All Birch Plywood. POLE MOUNT: Line Array Frame Mountable. HEIGHT: 13.50". WIDTH: 36.75". DEPTH: 19". WEIGHT: 77.25 lbs per Cabinet. CROSSOVER MODES: 2 Way Full Range and Bi-amp Switchable. SUSPENSION / MOUNTING: High Intensity Aluminum Suspension Parts. 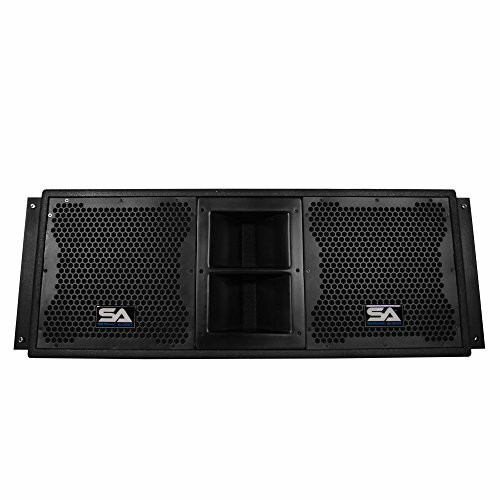 WARRANTY: One Year WarrantyThe SALA-210 Passive 2x10 Line Array Speaker from Seismic Audio features two 10" woofers and two heavy duty 1 3/8" titanium compression drivers. These operate at 560 watts RMS and have a peak output of 1120 Watts. These Line Array Speakers are wired at 16 Ohms and have a frequency response of 65HZ - 20kHz. The SALA-210 Line Arrays are constructed of all birch plywood and are Bi-amp switchable. 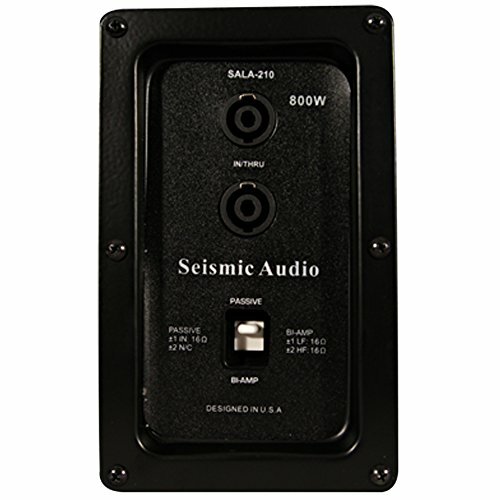 The SALA-210 are designed to be used in a variety of ways including front of house and side fill in most any venue,including clubs, churches, houses of worship, gymnasiums, and schools.